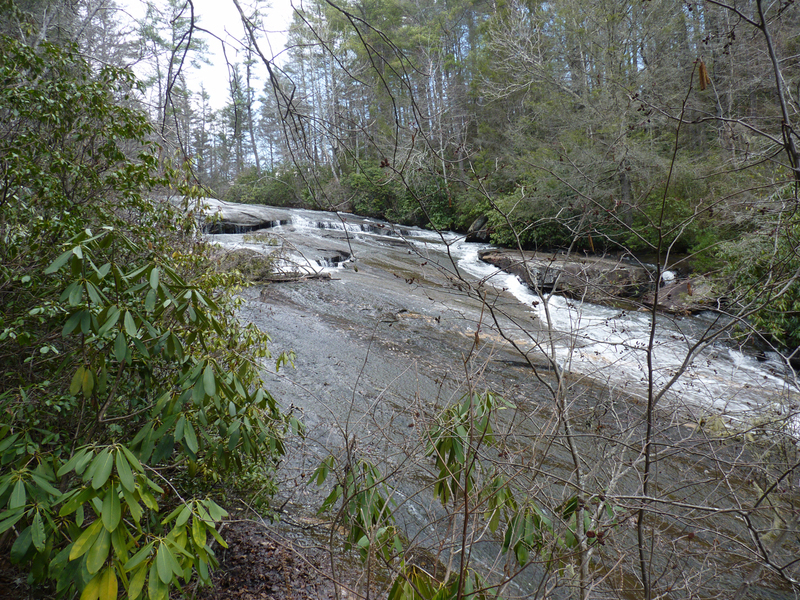 Grassy Creek Falls is a 50-foot sliding waterfall on Grassy Creek in Transylvania County, North Carolina. The waterfall is located in DuPont State Forest. 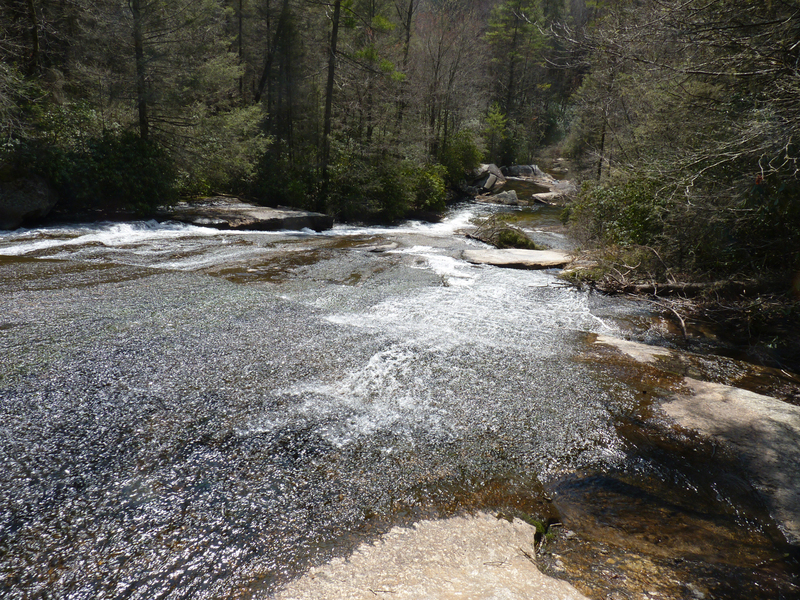 The hike to the falls is about four miles round trip and moderate in difficult. The closest trail head starts at the Visitors Center on Staton Road (DuPont Road). Trail maps are available at the VC.